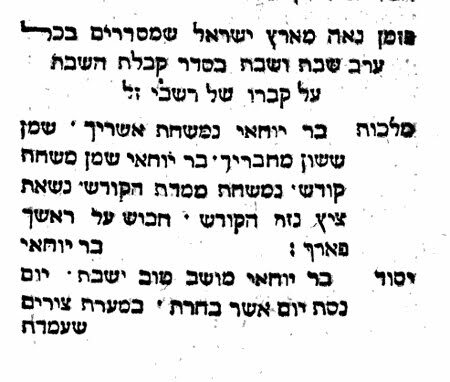 The simanim that were used by Abayye in the Gemara are, for the most part, easy to identify and well accepted. Kara is squash, Karti is leeks, Silki is beets (probably the healthy green leaves), and Tamri is dates. The identity of the rubia has proved more elusive, resulting in a variety of contending customs, and providing us with a glimpse into the halachic, linguistic, and botanical wisdom evinced by our most illustrious poskim in deciding between them. Most people today probably associate the rubia with black-eyed beans, the minhag of many Sepharadim and Yerushalmi Ashkenazim. Much less known is a mighty contender to wear the rubia crown, championed by none other than Rashi himself, codified in the Shulchan Aruch, and consumed to this day as rubia by the entire Yemenite Jewish community. Our contender goes by many names. Rashi refers to him in Old French as fenugri, aka fenugreek in English. He uses the term in describing the Hebrew tiltan, a three-leafed plant mentioned in the Mishna, whose bean-like kernels are mashed and prepared into a healthy and, in this writer's opinion, a delicious spread, enjoyed daily as a part of Yemenite and Modern Israeli cuisine under its popular Arabic name: hilba. Yes, that mysterious green goo at the falafel stand may very well be none other than the original rubia, our beloved siman of plenitude. However, our reigning champion rubia, the black-eyed bean, boasts an even stronger pedigree. Rav Hai Gaon identifies the rubia as the Arabic lubia, aka, or closely related to, the Egyptian Bean. 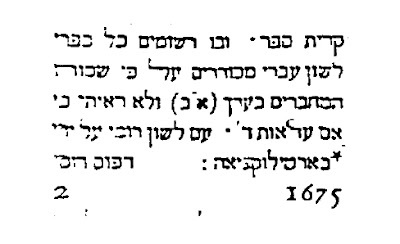 Rambam and Kaftor V'ferach identify sh'uis of the Mishna as the same lubia. This should not be confused with the sh'uis of Modern Hebrew, broad beans, generally white, that originally hail from South America, and hence, were not consumed by Hazal and the Rishonim. 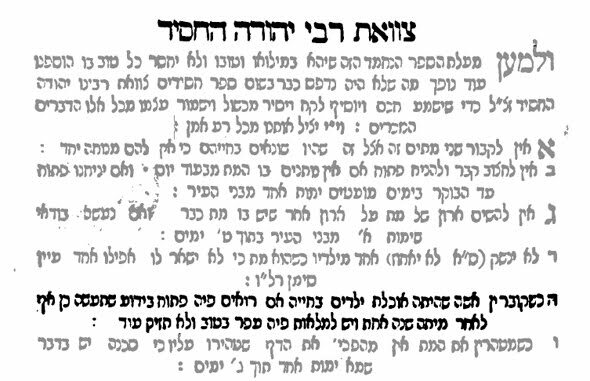 Since the rubia/ lubia is after all a siman tov, it stands to reason that the selfsame sh'uis of the Mishna would be a most beloved food. Indeed, we do find that the Amora Rebi Yona in the first perek of the Talmud Yerushalmi Kilayim explains the name sh'uis as a derash: It is called sh'uis because it mesha'a'sha'as the heart and mehaleches the intestines. 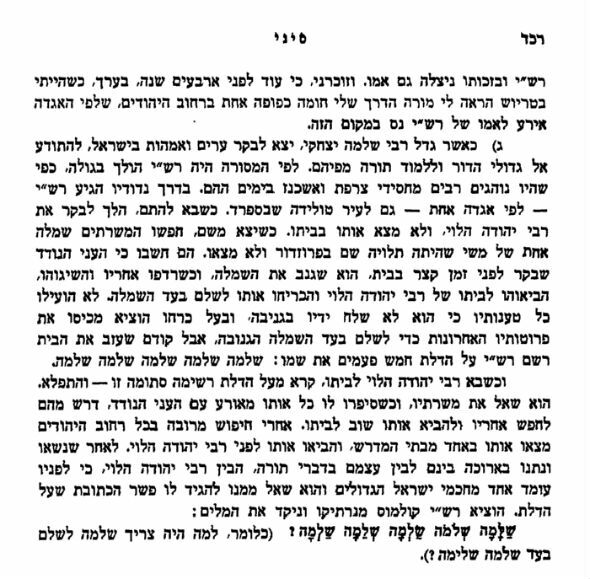 This Gemara is understood simply according to the Pnei Moshe, the pre-eminent commentator on the Yerushalmi and possible childhood rebbe of the Gra (see here), as stating that sh'uis is a delightful food, which stimulates the digestive process. Interestingly, a diametrically opposite interpretation is offered by the rishonim, Rash and Rivmatz. Mesha'a'sha'as is understood as to paste up, an alternate meaning of the root shin ayin ayin, which is also found in Tanach. They explain that sh'uis causes timtum haLev, it closes the mind - and causes diarrhea! If so, how could it possibly be a siman tov? This contradiction is resolved upon realizing that they did not identify the sh'uis as lubia, like Rambam, but rather as a different legume, vetch, the Aruch's identification. The loathsome vetch is known in the Yerushalmi as animal fodder, not really fit for human consumption (as it is full of toxins). One may even do business with it during sh'vi'is. It was common in Europe, home of the Rivmatz and the Rash, and generally only consumed by humans in times of famine. The wonderful rubia, on the other hand, was not available at all in Europe as it only grows in hot climates. This is even suggested by its name. Black-eyed beans on New Year's day are prized by many non-jews of the American Southeast, who consume then in a festive meal on January 1 to bring wealth in the following year! Unlike us, though, most of them eat the beans with pork. Nevertheless, the regnant theory in explaining the genesis of this custom is that it was first learned by African slaves from Sepharadi Jews who arrived in the region almost 300 years ago with their black-eyed beans custom. Other lesser contenders for the rubia title have been the three-leafed clover, aka the Modern Hebrew tiltan, the national symbol of Ireland, but rejected outright by Chida; and among North African Sephardi communities, fennel, sesame, and cabbage (apparently because kruv sounds “like” rubia) have been consumed. It appears that these communities once tried to adopt the custom without a mesora from Spain or Bavel. By now, they too have “increased their merits” by joining klal yisroel in marking their siman tov with black-eyed beans – or hilba! May God bless and keep the czar far away from us! I remember when I was a kid there was an old man in shul who used a machzor which seemed impossibly ancient to me. It was not nearly as old as I thought, but it did contain a blessing for the Czar, which I thought amazingly interesting. I remember my eyebrows being raised when I read in a book printed in Russia in 1838, which referred to Czar Alexander I as "God's anointed," העיר ה' את לב משיחו אלכסנדר הראשון קיסר רוסיא נ"ע. Someone once asked me if I had any information about what happened in Nazi Germany when it came to the traditional prayer for the government. I saw an interesting statement in an article by Arno Herzberg in the 1991 Leo Baeck Institue Yearbook, called "The Jewish Press under the Nazi Regime Its Mission, Suppression and Defiance - A Memoir"
He writes that the Jewish press in those days, while it still existed, would print quotations from Tanach that could, in a veiled way, give expression to the emotions they were feeling. However, they could not be open. So, for example, they obviously could not quote Psalm 140. "One prayer that caused problems was the prayer for the welfare of the government. It was an integral part of the prayerbook, but it had lost its meaning. It would have been more than hypocrisy to pray for the most vicious enemy the Jewish people had ever had. We could safely leave this to the churches. On the other hand, to omit it completely might be interpreted as disrespect and as an expression of displeasure with the government. It was impossible to discuss this in any forum, or in any newspaper column. But it attests to the common sense of Jewish leaders that this prayer was gradually abandoned25 without comment. In the end, the Gestapo relieved hesitant souls of their objections. The prayer was prohibited." The footnote directs us to "an adaptation of the Jewish prayer for the beloved fatherland," and refers to "Juedischer Widerstand in Deutschland" pg. 6, which luckily is available online (link). and able to pursue their work." EDIT 10.25.2011: See Part II of this post for an astounding prayer for Germany from 1938. The rich Rabbi Solomon Hirschel - but how rich? And how did he make his money? Rabbi Solomon Hirschel (1762 - 1842) of London, seen in hindsight as the English Chief Rabbi, was reputed to be enormously wealthy. He was a book collector of renown and left an ample estate upon his death. As I posted here, the British press claimed, in 1802, that his salary was £4000 (it was actually about £250). In any case, his wealth clearly did not come from his salary. Not only the nosy public, but his children too considered him a man of means. His oldest son, David Tevele Berliner constantly required financial assistance from him. Berliner would later find purpose and stability as a leading figure among the Perushim of Jerusalem, until he was poisoned, perhaps by his own grandsons in 1851. Evidently he supported all 7 of his children in various ways. In Hyman A. Simons' Forty Years a Chief Rabbi he reveals the unfortunate fact that his youngest son, Hirsch, who was a wine dealer in Cracow, was overcharging his father and several wealthy London Jews. 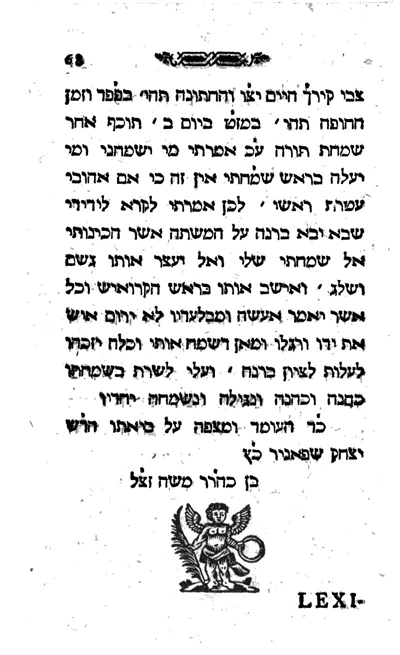 Simons cites an 1828 letter to his daughter Fanny (then married to R. Akiva Eger's grandson) asking if she would send him Hungarian wine, because he realized that her brother was overcharging him. Simons says that because of this Hirsch's business collapsed and he moved to - you guess where. "I am not a Rothschild, perhaps not a tenth part of a tenth of his money do I possess, not in pounds and not even in thalers." In other words, he doesn't think that he is worth even 1% of what Rothschild is worth! Of course 1% of one of the wealthiest people on the planet's fortune has got to be plenty of money. How much was Rothschild worth? And where did Hirschel get his money from anyway? I don't know how much stock you should put in this, but here are very fascinating paragraphs in an 1835 magazine called Museum of Foreign Literature, Science and Art. 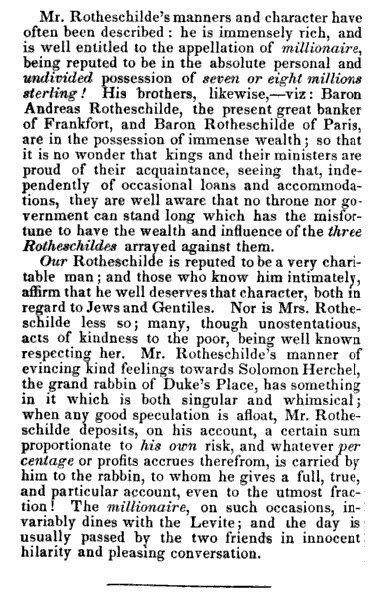 As you can see, the London Rothschild is discussed, and his wealth estimated at seven or eight million pounds sterling. Secondly, it says that Rothschild invests money for Hirschel, at R.'s own risk. Like you, I was curious how much Rothschild's 7 or 8 million is worth. In today's dollars that is over $1 billion, or as much as $10 billion, by a different measure. Simons says that Hirschel's estate was estimated at £14,000, much of it stocks and railway bonds. A sale generated a further £1400. While that was certainly a lot of money, that is far from 1% of Rothschild's worth. 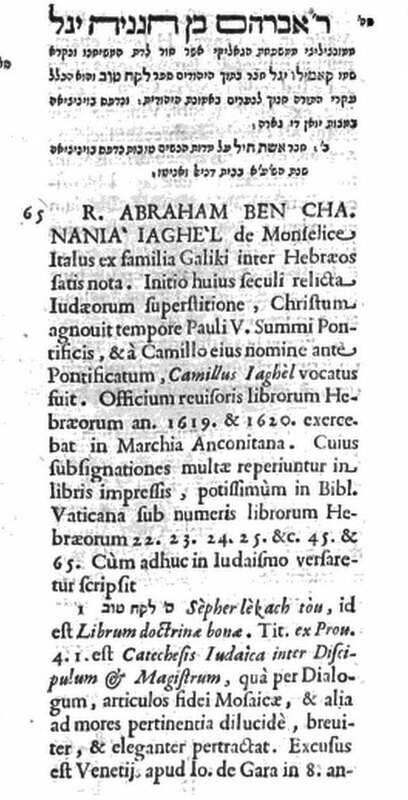 Here's a couple of nice tidbits from Bartolocci's Bibliotheca Magna Rabbinica (volume 1, 1675). The first is a useful comparison of the alphabets, Arabic and Hebrew, as used for writing Arabic. 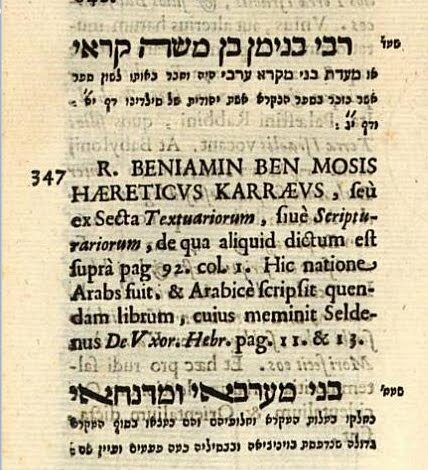 This entry is amusing because of the Latin name he assigns to this (and other) Karaite scholars: R. Beniamin Ben Mosis Hæreticus Karræus. Gee, nice of him to take sides. And here's an excerpt from his essay on the works of R. Eliyahu Bachur (Levita). This is from his Masoret ha-Masoret, and relates - inadvertently - to a popular legend about Rashi in Spain. 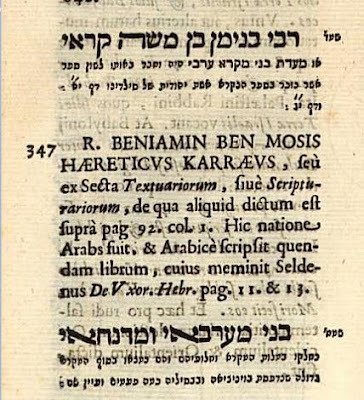 Masores Hamasores (third introduction) quoted the unpreserved Sefer Hasmadar by one Rabbi Levi ben Joseph which is the actual source for the observation that "שלמה" can produce the following sentence: "שֶׁלָמָה שַׁלְמָה שְׁלֹמֹה שַׂלְמָה שְׁלֵמָה." R. Levi b. Joseph, author of the book Semadar, says, at the beginning of his work, as follows: "If any one should ask, Whence do we know that the points and accents were dictated by the mouth of the Omnipotent? the reply is, It is to be found in Scriptures, for it is written, ' And thou shalt write upon the stones all the words of this law very plainly' (Deut. xxvii. 8). Now, if the points and accents, which make the words plain did not exist, how could one possibly understand plainly whether שלמה means wherefore, retribution, Solomon, garment, or perfect? " Thus far his remark. I leave it to the reader to judge whether this is reliable proof. Speaking of Ginsburg, to read Louis Ginzberg on C.D. Ginsburg, click here. The Seven Deadly Sins in Hebrew garb; also, a slyly censored word in the Shnei Luchos Habris? The Seven Deadly Sins - wrath, greed, sloth, pride, lust, envy, and gluttony - are probably as well known, at least the concept, as the Ten Commandments. Which, come to think of it, is also probably better known as a title. The Wikipedia entry gives a very good overview and history (link). 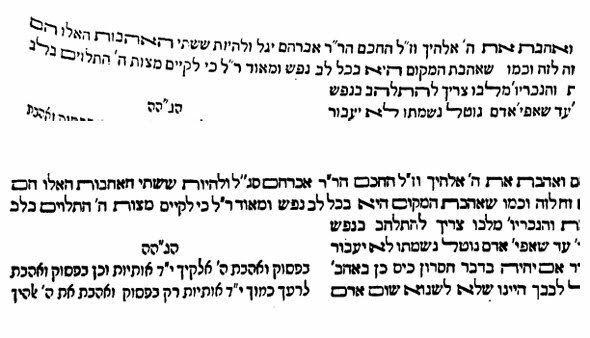 Less well known is that Lekach Tov by Avraham Yagel by (1553 - 1623), a sefer quoted in Shnei Luchos Habris (link), contains the complete list, and an exposition of the Seven Deadly Sins. As an aside, I linked to the first edition of the Shelah (1648). 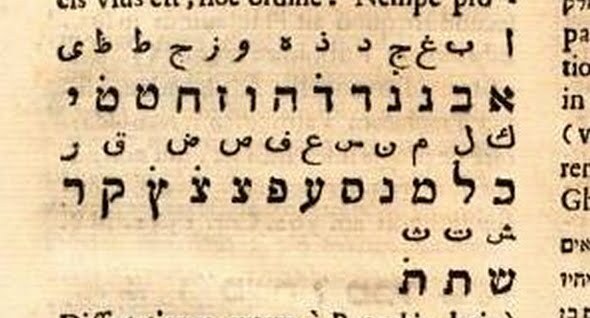 In a later edition (1698) he is called "החכם הר"ר אברהם סג"ל" instead of "יגל." Getting back to the Seven Deadly Sins. Lekach Tov is a catechism, in the form of dialog between a rabbi and his pupil. The rabbi asks the questions, and the pupil answers them. The first part concerns the 13 Principles of Faith articulated by Maimonides. More on that later. The rabbi asks, what are the seven to'evot of the soul? The student answers that they are the seven primary sins from which all others stem. They are batalah (sloth), ga'avah (pride), gargranut (gluttony), zimah (lust), ka'as (wrath), kamtzanut (greed) and kin'ah (envy). No doubt some would be surprised that he would adopt such an obviously Christian list, especially since Proverbs 6:16-19 actually lists 7 things which God hates and considers an abomination (actually, 6 + 1), and they are not the Seven Deadly Sins. So you would think these verses in Proverbs is the basis for an official Jewish list of Seven Deadly Sins. 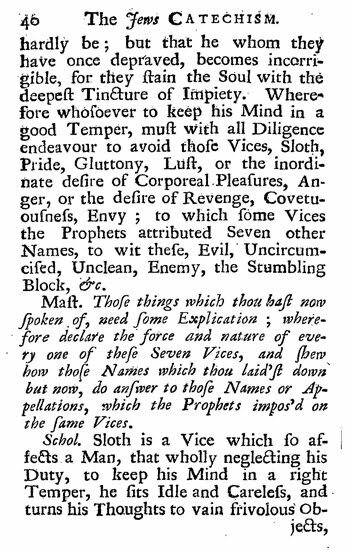 However, as you can see in this excerpt, Yagel finds these Seven in the Prophets, and he lists the nasty things they called those sins. Clearly he felt that these have a Jewish scriptural basis. 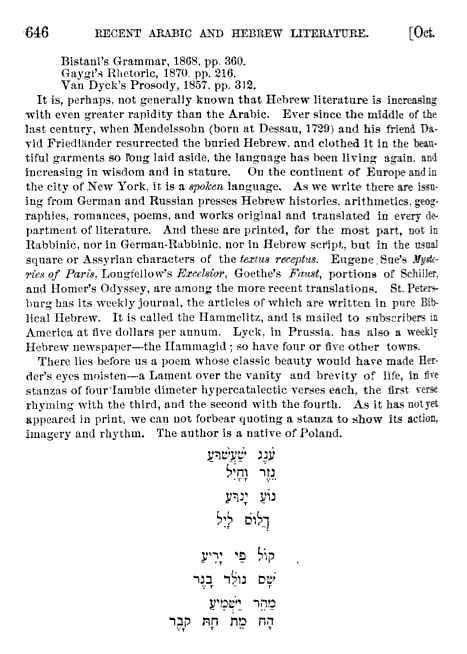 The book was very popular and was translated into Latin (more than once), German, Yiddish and English. 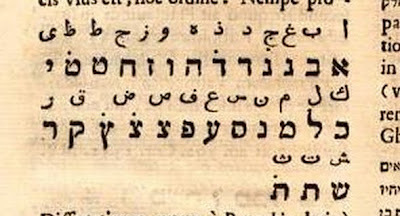 The Yiddish version (Amsterdam 1657) was called תורת לקח טוב. 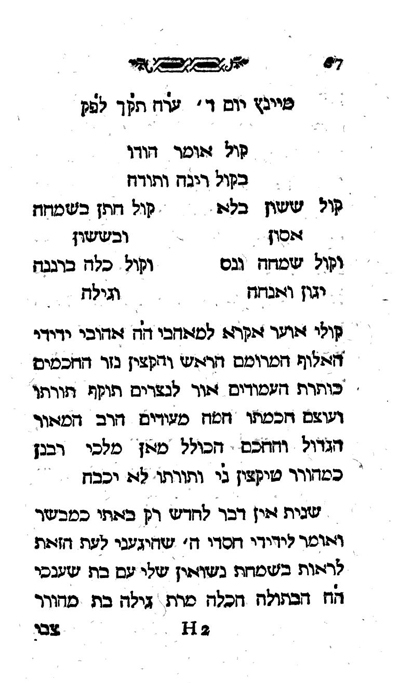 Here, for example, is the Yiddish translation of the passage. The glutton is called "ein grausser fresser." It continues in this vein, proving from the Bible that the Jews believe that salvation is open for non-Jews. One wonders just who is writing these words, especially as it concludes with a translation of The Jews Prayer for King George and the Royal Family. My Jew-O-meter is beeping. This is 1721, after all. An Interesting MS. Book.—I have been shown a curious and interesting little book in manuscript, which has been in the family of the present owner (himself a Jew) for more than a century, and is a translation of a work written in very remote antiquity. The title is as follows :—"The Jews' Catechism, containing the Thirteen Articles of the Jewish Religion, formerly translated out of Hebrew, with a Prefatory Discourse against Atheism. Writ by me, David de Castro, in Dublin this 4th March, 1727." As for the date, I assume that the writer just misread 1721 for 27. He goes on to ask if anyone knows if the book was ever printed and if anyone can tell more about this Rabby Jagel mentioned in the preface. So, my Jew-O-Meter is definitely working. The book was reprinted by a Jew from Dublin named David de Castro. 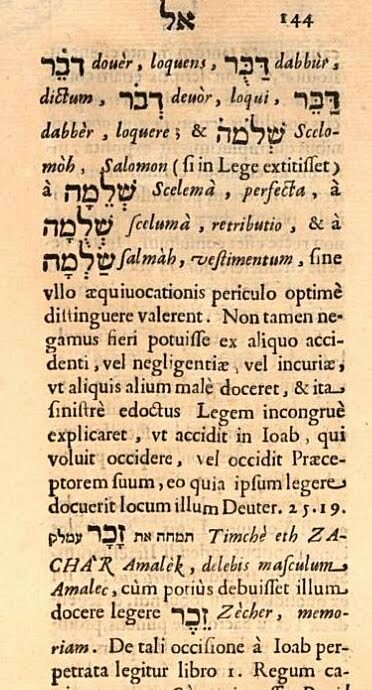 Getting back to Yagel, he begins in his preface (called The Proaeme in the 1680 version) explaining that it has long been the practice of the Jews to "Hedge in the Law" (to use the language of the English version; לעשות סייג לתורה) and "to reduce it all to certain Heads." That is, Yagel understood the compiling of Ikarim as falling under the category of hedging in the law. Mast. What are those which they [i.e., the Prophets] have declar'd to be Believ'd by us ? Schol. Truly they are very many : But there are Thirteen Articles, which 'tis necessary that every Man should Believe, that is joyn'd in Communion with the Israelites. Moreover 'tis necessary that his Belief in these Articles be known and manifest to all Men : And whosoever shall deprave but one of them, he is declar'd to have deserted the Synagogue, and to have renounc'd his Religion, neither shall he be any more called an Israelite. Mast. Recite these Thirteen Articles, these Foundations of Pure Religion, shew plainly what they are. And then follows an extensive description taken verbatim from Maimonides. The English version is great. For example, in the Seventh ikkar, concerning Moses' prophecy, the student distinguished between the other prophets and Moses. ". . . at the Breathing of the Divine Spirit, the strength of the other Prophets fail'd them, and their Senses were benum'd with Horror : But Moses talk'd with God, as one Man is wont to do with another, without any Trembling, or sudden decay of strength." R. Samson Raphael Hirsch's "Sensation." Here's an October 1836 advertisement for the forthcoming book Horeb. As you can see, it refers to Rabbi Hirsch's literary debut, the 19 Letters, as causing a "sensation." Evidently he did not remain anonymous for even a year. This advertisement appeared in all sorts of German periodicals. On non-Jews with rabbinic ordination, real and imagined: some notes on Dr. Leiman's post on Tychsen. 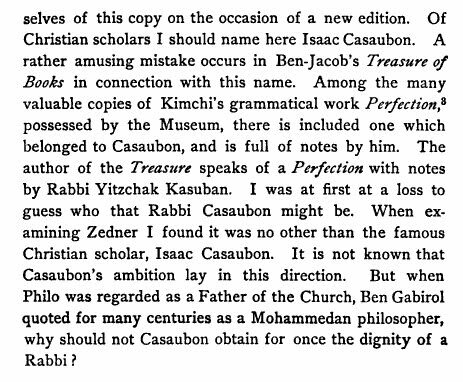 Benjacob knew a lot about seforim, but probably not so much about classical scholars, so he didn't realize that "I. Casaubon" is not some "מה"ר יצחק קאסובאן," but Isaac Casaubon. Unfortunately I did not discover this gem, but Solomon Schechter did. He called attention to it 100 years ago in the first volume of his Studies in Judaism, "The Hebrew Collection of the British Museum." This then appears to be another case of "a non-Jew with rabbinic ordination" of the second type described in a fantastic post by Dr. Shnayer Z. Leiman at the Seforim Blog (link). That is, an amusing mistake caused by a Jewish writer not realizing who a particular person is and affixing a perfunctory rabbinic honorific before his name. The first type which Dr. Leiman described is more serious, and concerns the apparently singular example of such ordination in all of history. 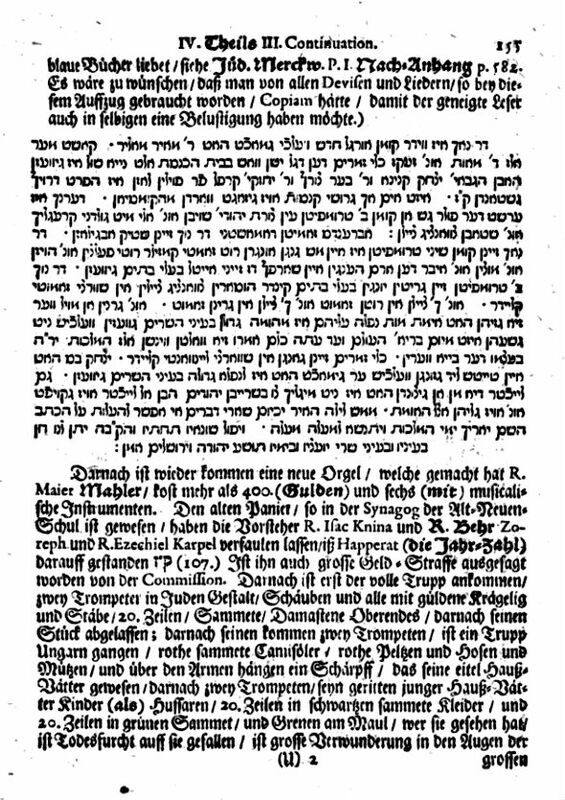 Dr. Leiman posted the text of a "chaber-diplom," that is, the lighter form of ordination awarded to scholars capable of independent Torah study, which was customary in Western Europe in the early modern period. 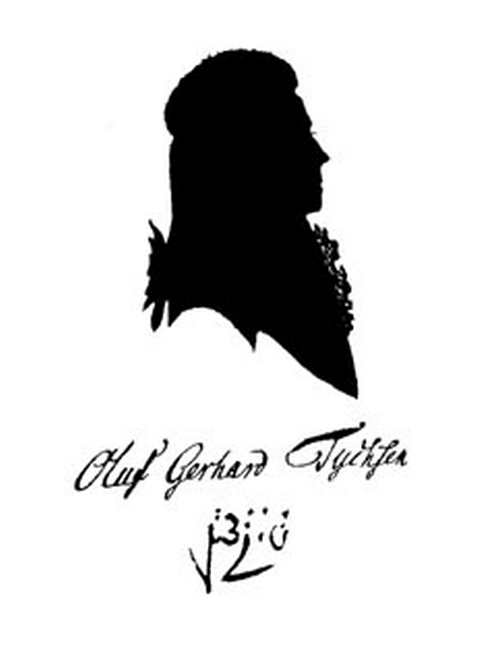 What made this text interesting is that it was evidently awarded to a non-Jew, the Hebraist Oluf Gerhard Tychsen (1734 - 1815) by a rabbi in Kirchheim. Before I get to the text and what else I have to say, some remarks about Tychsen. He is probably best known to students of Jewish history for his role in the early burial controversy in Mecklenberg-Schwerin. This occurred in 1772. In accordance with medical opinion of the time doctors feared that they did not possess the means to accurately detect death. To avoid burying the living, who only appeared to be dead, they recommended waiting until the first signs of decay would set in. The duke of Mecklenburg therefore decided that in his duchy all burials should be postponed. The Jewish practice is to bury the dead as immediately as possible. Tychsen submitted his opinion recommending that the Jews receive no exemption. The Jews meant to petition the duke, arguing that early burial went against their religion. To that end they requested that R. Jacob Emden write the brief, explaining the Jewish law. He did not consider himself able to write such a brief in the necessary literary German, so he told them to ask Moses Mendelssohn, who did so. This led to a famous correspondence between them, because even though Mendelssohn wrote the petition - the exemption was granted - he was of the opinion that Jewish law actually permits delayed burial, and besides, the physicians are correct in their concern. Rabbi Jacob strongly disagreed with his argument, and even warned him about his reputation, cryptically referring to something which will make an appearance in a future post. But I digress. The professor I first studied Hebrew with (who has been one of the translators for two big Bible translation committees, on Exodus for the one and Exodus and 1 Samuel for the other) confesses that, when he is in Israel (he’s American), children there reading the scriptures aloud and rather effortlessly put him to shame. He struggles more than publicly he cares to admit. Tychsen did not appear to struggle at all, and he seems to have had mastery over a great breadth of rabbinic learning, including contemporary rabbinic works, which is probably the key difference between him an other Hebraists. True, by his period he had many predecessors to rely upon. Yet the same is always going to be true, so I give credit where credit is due. לכל דבר שבקדושה ונוצר תאנה יאכל פריו פרי קודש הילולים' להיות בידו לתפארת ולכבוד התורה ולומדים ולמען שלא תהא האמת נעדרת חקקתי רשמתי וכתבתי דברי בעופרת לכבוד ולתפארת להיות חקוק על לבו ובידו לאות ולמשמרת. כ"ד המדבר על כבוד התלמידים היום א' כ"ו למב"י תקי"ט לפ"ק לסדר אלה הדברים אשר דבר. Of course this is no big deal, and the differences are minor, and in some cases were probably not Donath's mistake per se, but a correction of a typographical error in the original. Also, as you can see, Tychsen did not write them as paragraphs. Still, it is interesting how careful one must be in making and relying on transcriptions. Along the lines of taking great care, Dr. Leiman detected some problems in the text, because he did not merely reproduce it, as Donath did, but checked out the name and date. He concluded that the date of the week (Sunday) doesn't match the day of the Omer (26) for the year 1759. Thus, he suggests that the typesetter in the Donath volume replaced a gimmel with an aleph by mistake, and thus the ordination was written on Tuesday. Aside for that, the Omer is never counted on or near the Torah portion Devarim (Leiman gave an explanation for that, which we will see is unecessary). We can see in the original that it indeed says aleph, thus it is not a mistake in Donath's book. 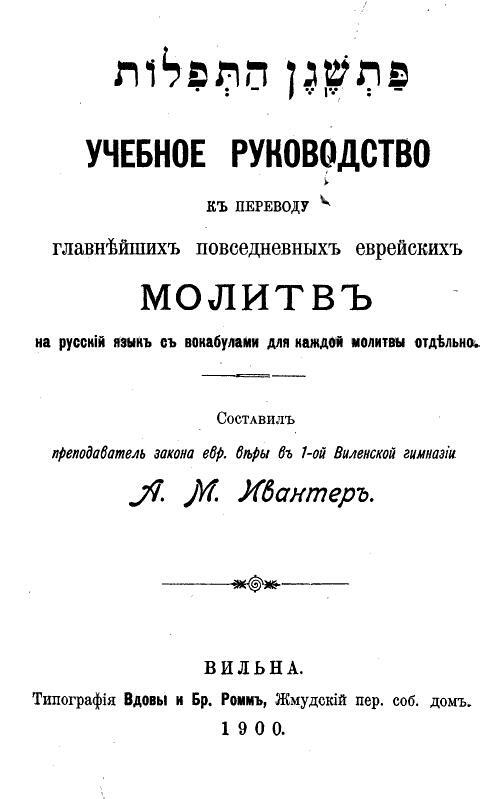 Nor it is a mistake of the typesetter of Tychsen's book. I will suggest, however, that Dr. Leiman's interpretation of the acronym למב"י must be revised. It does not pertain to the counting of the Omer (למספר בעמר), but it means to say למנין בני ישראל, "As the Jews account." Thus, the correct date of this diploma is July 22, 1759 and it indeed occurs in the week when Devarim is read in the synagogue. While this is 27 Tammuz, not 26, the solution is probably that the vav needs to be changed to a zayin (or the rabbi wrote it Saturday night and/ or forgot the date, which could happen). Admittedly it's a little strange that the month is not specified if the day of the month is given, but it doesn't seem like it could be days of the Omer for the reasons specified. The next problem is that the rabbi is unknown, and we would like to know who he was. 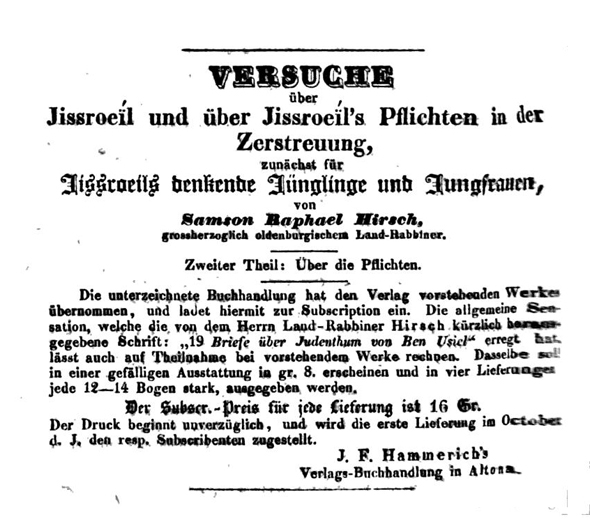 Someone with the name R. Moshe b. R. Zvi Hirsch Lifschuetz did live approximately in this time period, as Dr. Leiman pointed out, but besides the certificate itself we do not have any evidence that he was in Kirchheim in Hesse. 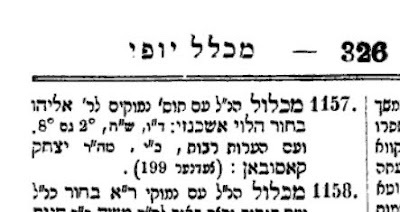 We know the rabbi with that name was in other places, and besides, R. Jacob Emden stated that he was no longer alive in a book which he printed in 1755 (for the date, in the beginning it says it was printed in the beginning of the year, so in this case 5516 is 1755; link). So he hardly wrote this certificate in 1759, and the identity of the rabbi has not yet been established. It's important to realize though that Tychsen himself does not give any account of the circumstances. He just gives this diploma among a variety of other Hebrew texts. The one before it is a kabbalah for a shochet, and the one after it is an effusive wedding invitation from someone named Yitzhak Spanier of Mainz. 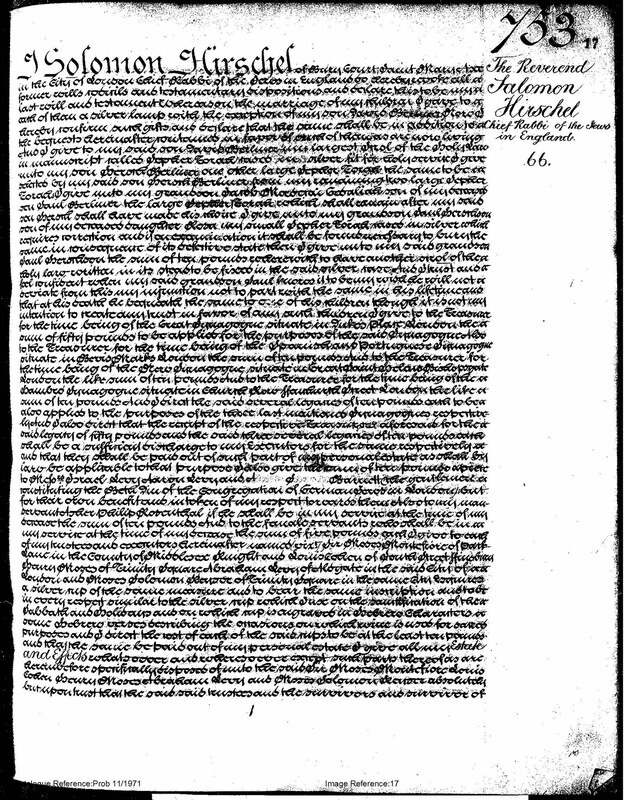 Thus, the circumstances surrounding the granting of the certificate appear only in the text itself, which is what the author of his biography is basing it on. Although it appears to be rather straightforward, Tychsen never actually says that he was awarded this diploma or the circumstances in which it occurs. Naturally one can't help wondering if he made it up altogether. However, here is a possible proof that he did not. Below is the only picture I could find of Tychsen. Nice silhouette. The rabbi in the certificate spelled it "טיכזן." So I suggest that Tychsen himself did not think to spell his own name differently and therefore the document was not written by himself. 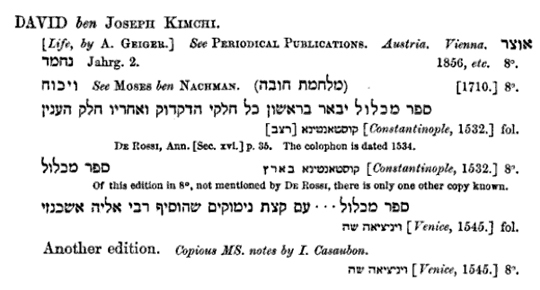 Incidentally, we also see that Dr. Leiman was quite correct that "קירך היים" means "Kirchhain" (or Kirchhagen). The final ם is of course no problem. Naturally the first thing one thinks of when one hears "Kirchheim" is Raphael Kirchheim. Also see Die evangelische Christenheit und die Juden, pg. 42, where it is claimed that Tychsen was called Morenu in Buetzow! Some evidence, please? Well, see below. As you can see, the excited Yitzhak Spanier decides to address him as הרב המאור הגדול והחכם הכולל מאן מלכי רבנן כמהרר טיקצין נ"י. In general, one gets the sense that this is all in good fun, and that is probably the explanation for the chaver certificate as well. It also included a beautiful zemer for a (hachnasat?) Sefer Torah, which he says is therein printed for the first time. As far as I can tell, this song is still quite rate. 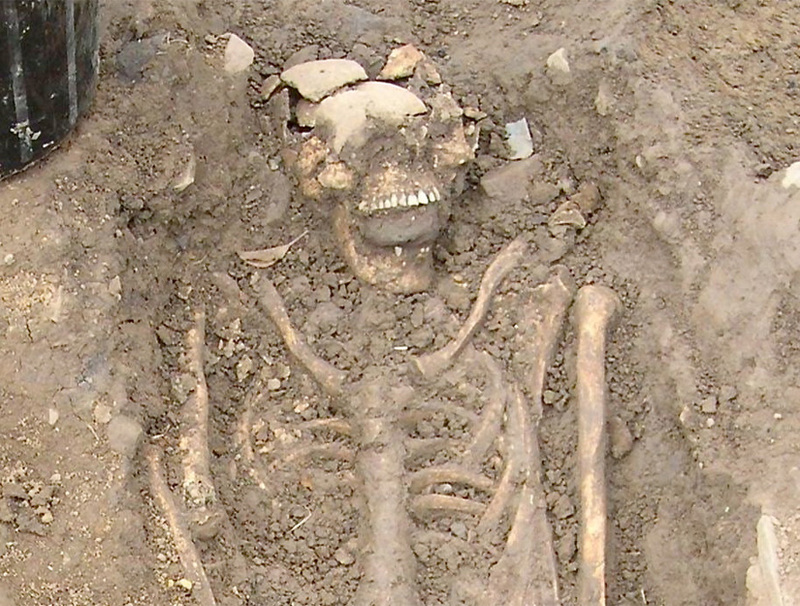 The Huffington Post has a little story today called "Zombies a Concern During Medieval Times?" (link). 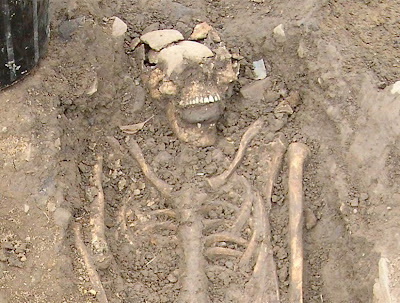 It's all about how an excavation in Ireland uncovered corpses from the 700s with mouths stuffed with stones. The story, from Discovery, explains that stuffing the mouth with a large stone did not apply to all bodies, but only those of really scary people, like murderers, or those who died strange deaths. Stuffing their mouth with a stone would ensure that they would not come back as scary zombies. or, "When they bury a woman who had consumed children, if they see that her mouth is opened then she will definitely continue to do it during the first year after her death. So they should fill her mouth with dirt and this will be effective so that she will not cause further harm." There is certainly no doubt that if you stuff a corpse's mouth they will not come back to haunt anyone. Many pamphlets were written about legalizing marriage with one's sister-in-law (link), including one essay by the Rev. T. Berney, called "Marriage With a Deceased Wife's Sister or with a Niece, Contrary to the Holy Law of God, and to the Laws and Customs of the Jews, and to the Teaching of Our Lord Jesus Christ and of His Apostles, and to Nature" (link). He sent this epistle to Parliament, and it was printed in 1885. He begins informing Parliament that they have been led in error by those who claim that such marriages are biblically permissible. He will show that this is not so. He reminds them that Britain faces trials and judgments by God, such as recent military disasters in Sudan, which were due to God's removal of his blessings on Britain because of its "present unrighteous law of divorce." He aims to show them that passing a law permitting the marriages described would defile the land and bring curses upon it, in accordance with Deut. 11:26 - 28. What then follows is a discourse on Lev. 18:18, which deals with sexual relations with a wife's sister. He gives an interesting Hebrew lesson, pointing out what precisely certain words mean, in contrast to the way they are translated in the Authorised (King James) Version. After proving to his satisfaction that such a marriage is firmly prohibited, he moves on to the next area mentioned by the title of his essay, namely the Jewish view. So he turns to "the Oral traditionary of the Jewish people, now commonly called the Mishna" with regards to "Yeboom" (Yibum; Levirate marriage). Before he gets to it he remarks in passing that the Reform Jews permit such a marriage, but they are irrelevant, because "the denomination of Jews called " The Reformed Jews " are a mere set of Dissenters from the Orthodox Jews: and I am informed on reliable Jewish authority, that they sprang up into notice only at the beginning of this century." He explains that "Dr. Marks is the Chief Rabbi in England of this Jewish sect," and Parliament should be aware that letters and opinions quoting him and !! Dr. N. Adler !! "and other learned Hebrew Professors who are members of these Sects" have no value whatsoever. Satisfied that he will only be showing the opinion of Orthodox traditional Judaism, he returns to the Mishnah. 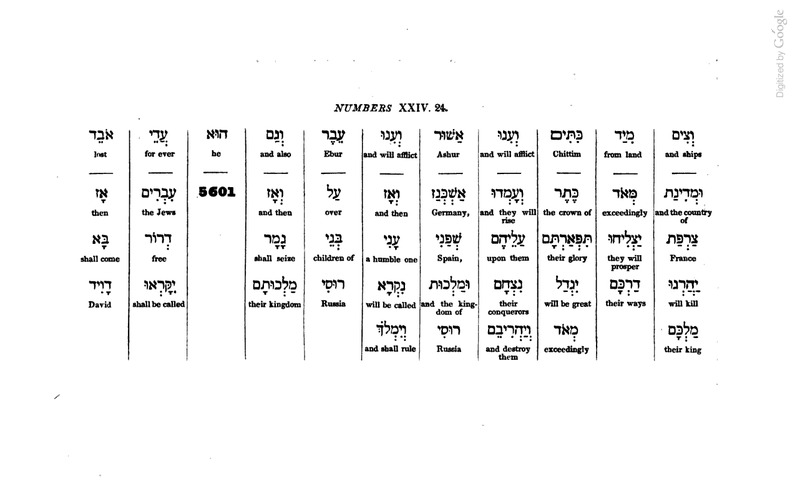 He refers to the 18 Treatises, the English translation of a part of the Mishnah by Rabbis David A. de Sola and M. J. Raphall (1845). He does not mention this, but interestingly enough, this early Mishnah translation appears to have been undertaken in part to combat the initiation of Reform in England. He proceeds to quote their introduction to Yevamos and no less than the translation of no less than 17 mishnayos which he claims support his contention. He then argues that if there is anything in the Mishnah which disagrees then clearly it is spurious later "tradition," rather than the genuine tradition which existed from Antiquity and which was known during the time of Jesus. The reason he mentions this is because another pamphlet had quoted a Mishnah which did not support him (Yevamos 4.14). It rather unambiguously says, אשתו שמתה מותר באחותה, "If a wife dies, it is permitted to marry her sister." He claims, first of all, that the author wrote the pamphlet for money. Not only that, the Mishnah is spurious, and he infers this from the "fact" that de Sola and Raphall agreed with him, because they did not include this Mishnah in their translation! As it happens, they were prudish and omitted sensitive material from their translation, probably out of the sense that presenting it publicly dishonors Judaism. He then claims that this particular Mishnah was only introduced after the year 1509 (!). The proof? 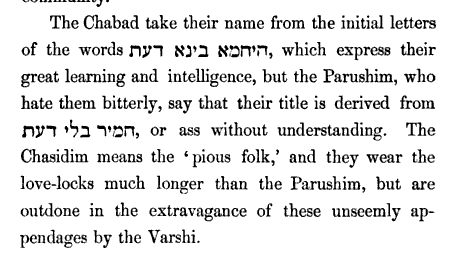 R. Ovadyah Bertinoro does not comment on this Mishnah (and his commentary was written in that year, says he). There is yet another proof. The proof is that R. Moshe Isserles, the Rema, "in his remarkable edition of the Shulchan Aruch" calls them "Emendations" !!! If you are feeling like you are falling down a rabbit hole reading these words, and everything is getting curiouser and curiouser, he continues to explain what he means. 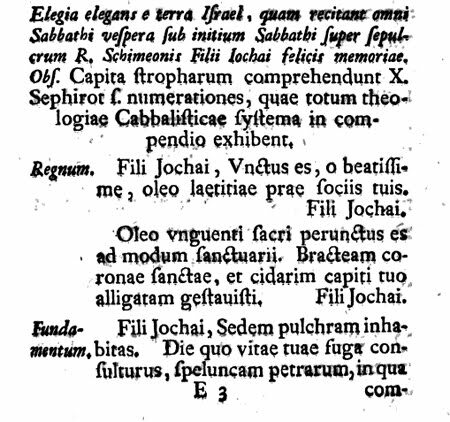 Citing Wolff (Bibliotheca Hebraea) he explains the history of the Shulchan Aruch. He then quotes the title page of the 1775 Latin edition of the Shulchan Aruch (Choshen Mishpat), " . . . R. Mosen Iserles emendato atque suppleto." 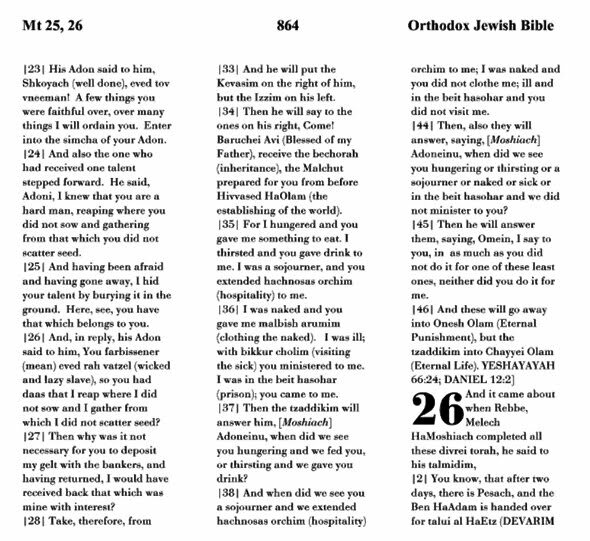 In other words, the Shulchan Aruch features "Emendations" by Isserles. He quotes one such Emendation, to the effect that " . . . even should he have children, and betroth himself to his deceased wife's sister, he may marry her immediately after the seven day's mourning; for she will have more care for the children of her sister than another will have." But "This passage is not to be found in the first edition." In other words, the fact that the Rema added hagahot to the Shulchan Aruch is marshaled as evidence that the content therein is spurious and not the real halacha. This is not enough for him. He continues to accuse the Chief Rabbi Nathan Marcus Adler of "audaciously and deceptively" quoting this "Emendation" in his letter to the Royal Commission, "as if it had formed a part of the original Shulchan Aruch." Can you imagine such a thing? How devious of Dr. Adler, quoting the Rema as if it were a real halacha. Since the Rema's edition is from 1580 [sic; actually it's from 1578], it "enables us to arrive at an approximation to the dates at which the corruptions were made." It must be later than 1509 and earlier than 1578, when the Rema wrote his notes to the Shulchan Aruch (here he got the date correctly). He does not blame the Rema, it seems, as he keeps referring to it as a "remarkable edition." 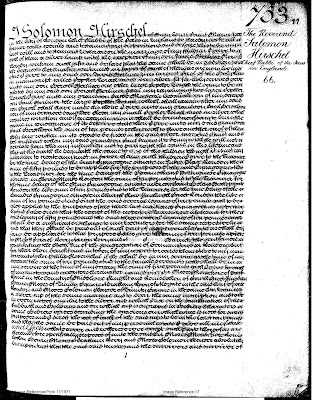 This is not enough for him though, and he claims "that the perpetuation of these gross corruptions, in the books in the hands of some of the European sects of the Jews, resulted from the apostasizing example set by Pope Alexander VI (the infamous Borgia) in granting those Dispensations to the two Kings, Emanuel of Portugal and Ferdinand II of Sicily; the one to marry his deceased wife's sister, and the other his aunt." He explains that when the Jews were expelled from Spain, they were forced to flee to Portugal. The daughter of Ferdinand and Isabella was to be betrothed to the son of Emanuel of Portugal. But as a condition of this marriage, the sovereigns of Spain demanded that Emanuel expel the Jews from Portugal. This did eventually happen, but not right away. In the meantime, the princess died, and Emanuel wished to marry her sister. This is what he received a dispensation for from the Pope. And although "direct evidence . . . [has] not yet been obtained" he feels that he can suggest that as a concession to King Emanuel the Jews consented to let the Mishnah be corrupted! However, thankfully there are still Orthodox Jews [i.e., the first edition of the Shulchan Aruch] and Karaites who never corrupted their laws, and they strictly forbid a man from marrying his wife's sister after her decease! Without a doubt this is one of the most amazing things I have ever read. 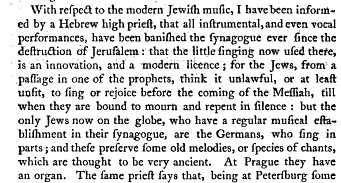 Some 18th century references to the not-yet-controversial synagogue organ(s?) in Prague. 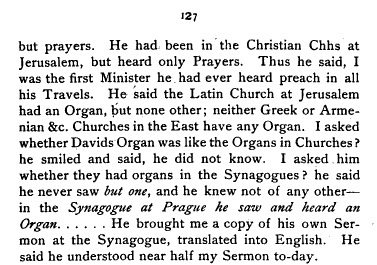 Here are some sources mentioning the Prague organ, that is, the organ used for kabbolas shabbos in the Meisels Synagogue in Prague, which was invoked as a precedent in the 19th century debate about organs in the synagogue. The third is from 1809, not long before the polemic over the organ would actually begin (1819). 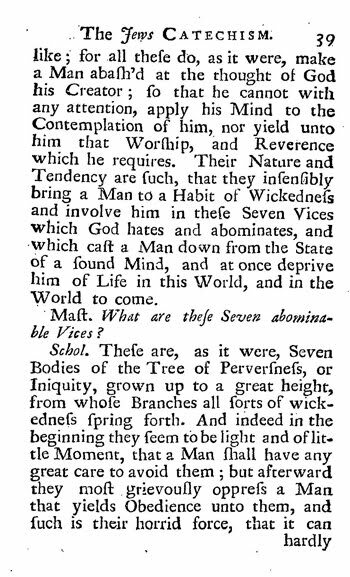 This is in Robert Adam's "The religious world displayed, or, a View of the Four Grand Systems of Religion, Judaism, Paganism, Christianity, and Mohammedism." 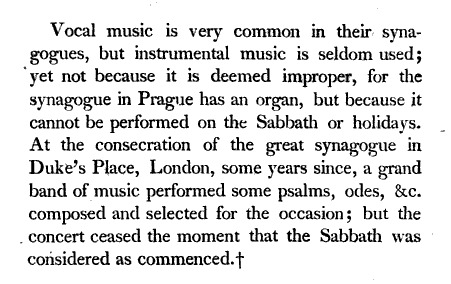 These are interesting, because R. Yechiel Goldhaber found that after 1719 there is no reference to the Prague organ, until the 1819 letter from the Prague Bet Din in which the existence of this organ was confirmed ( with the disclaimer that the music ceases a half hour before shabbos). Here are three sources later than 1719. 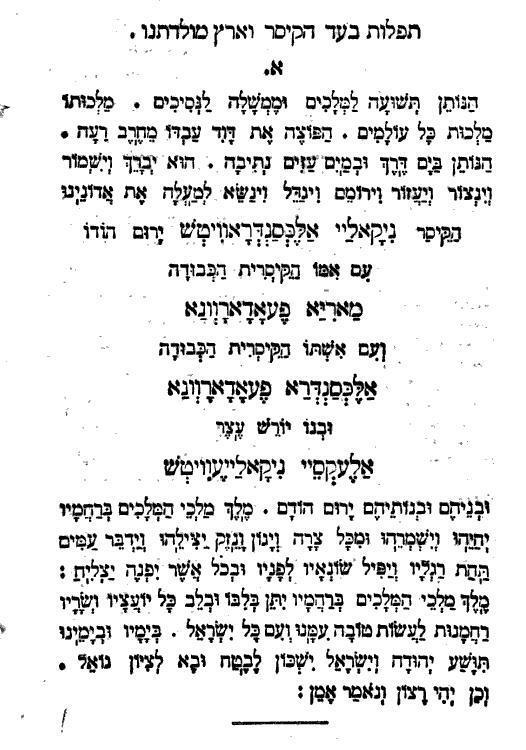 Here's a page from a really useful book called Ohalei Shem published in 1912. It's basically a Who's Who of rabbis the world over, with their biographies and addresses (where applicable; in many locales, evidently, writing the name and town and province was sufficient. For example, if you wanted to write the Chofetz Chaim, you could turn to pp. 552 - 53 and see that it would be correct to address it to І. M. Каганѣ Радунѣ (Вилеи. губ.). It has a haskamah from R. Chaim Soloveitchik (and R. David Karliner and R. Chaim Ozer) in case anyone follows such things. I don't know if anything quite like this existed before, but it surely was a useful book, and therefore many people would own it and many eyes would peruse its pages. So it's interesting to look at the advertisements. 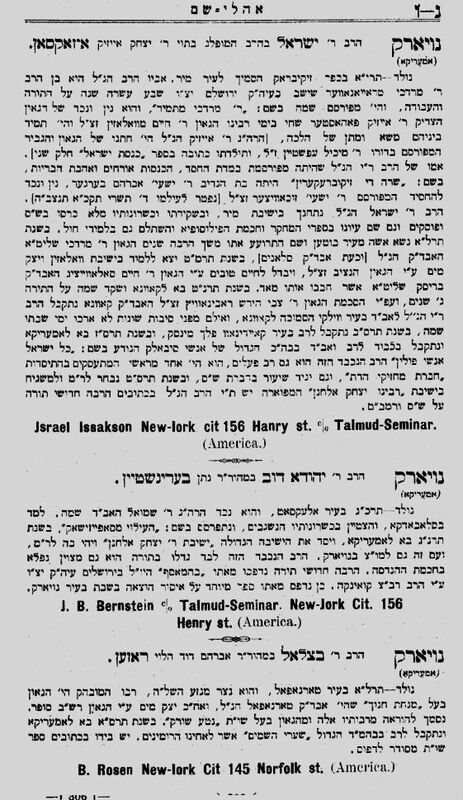 You can do that yourself (it's mostly rabbinic journals) but the one I'll mention is Romm's ad for the Chumash Torah Temimah. As an aside, there doesn't seem to be any real rhyme or reason for the length of the biographies, so I will permit myself to speculate that they are based on some combination of how interesting the life of the particular rabbi was and how acquainted the author was with him. 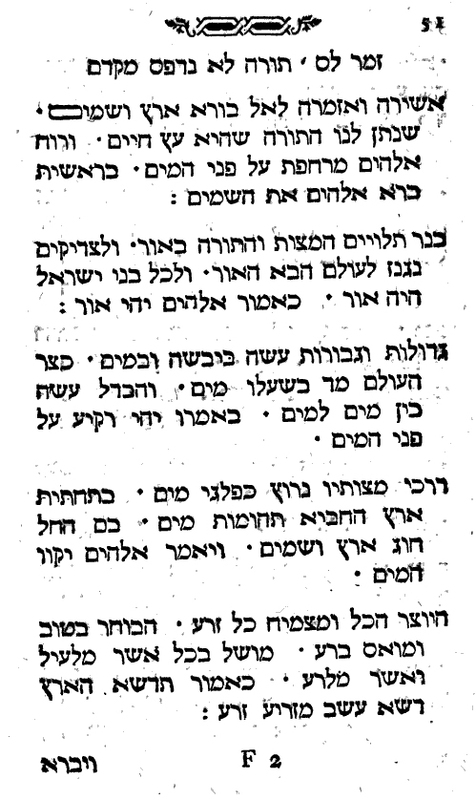 Some examples of longer-than-usual entries are the one for Rav Kook ("Kouk"), R. Isser Zalman Melzer and R. Baruch Epstein. There are entries for many notables and future notables. For example, there is one for the young rabbi who would be the Satmar Rav one day. The listings are basically all Orthodox, which is not surprising, although not all of the Eastern European variety. I did note that Dr. Lowy of the Bresslau Rabbinical Seminary seems to have slipped through, but I looked in vain for Solomon Schechter (but others, like Rabbi Z. P. Chajes are listed). Rabbi Moshe Dawid Kasuto of Florenz is listed too. 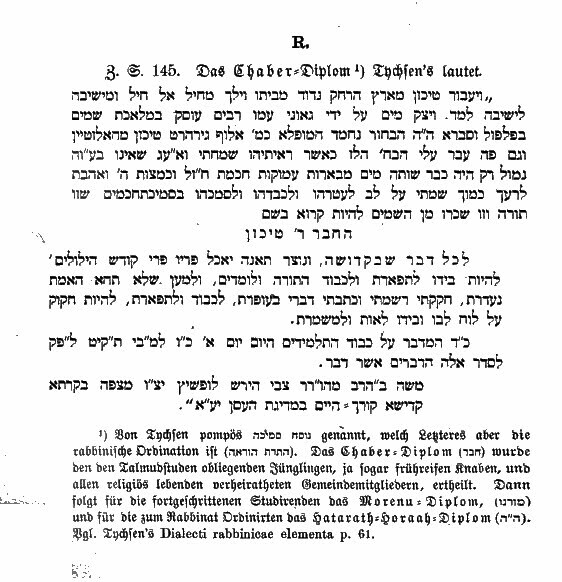 Here's the page for two rabbeim in RIETS (which I doubt was it called then). Note that they can be reached at the "Talmud-Seminar," which I guess was the author's imaginative name for the Yeshiva which would be Yeshiva University. Note also that the author can't make up his mind between "New Iork" and "Jork." I'm afraid I've reached the end of the post, and I haven't mentioned the author/ compiler's name! It was Rabbi Shmuel Noach Gottlieb of Pinsk. Although I most certainly did not count, it seems to me that there are about 2000 separate entries (the index has 15 pages of 3 columns each, without 45 names per column). 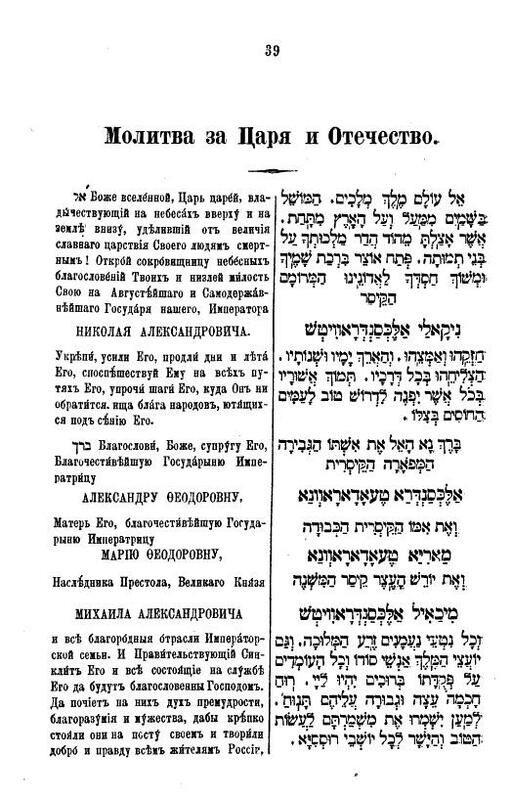 How much did it cost an American to subscribe to a European Hebrew weekly in 1870? These are the sort of things that you may never wonder, but if you do, it's not always easy to find out. According to the American Presbyterian Review of 1871 it would cost you $5 to subscribe to Hamelitz. In today's dollars that seems to be about $95. 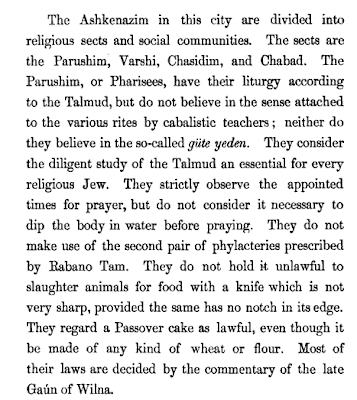 Vintage hisnagdus and some other observations from Jerusalem, 1869. 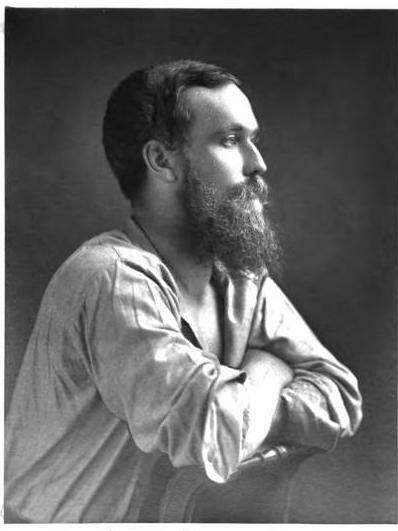 From The literary remains of the late Charles F. Tyrwhitt Drake (London 1877). Drake (1846-1874) was in Palestine in 1869, so this is the place and era he is writing about. Most of his account of Jerusalem isn't the sort of thing that you wouldn't read in a hundred other books of that era. In a couple of paragraphs he really laces into the rabbis of Jerusalem (accusing them, among other things, of parading poor people in special "almshouses" for a visit by Montefiore, after which they were summarily ejected. The idea is that these houses were built by Montefiore, but were actually being used by friends and askanim of the rabbis). This isn't so interesting as a footnote where he assures that "I must here remark that I have received all the above account from the mouths of Jews." Writing further about Chabad, he says that they resemble the Chasidim but "are more learned and pious," and are into hospitality, charity, and especially visiting the sick. 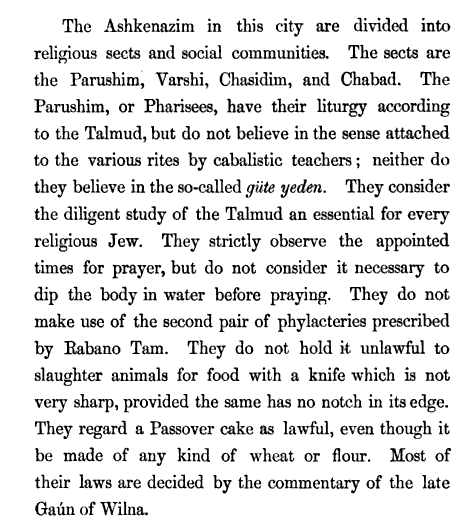 He also notes that the Sephardim will pray with the Chasidim or Chabad if they need to, but not the Perushim. 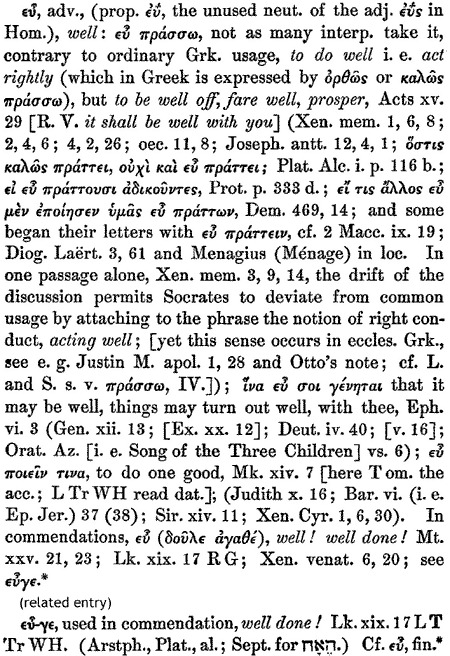 In case you are wondering, in the original "Shkoyach" is rendered by εὖ., or "well done" as per the KJV. But that mamash has no ta'am. Here's an 1868 notice in the Occident listing authorized shochetim, and a "respectful caution" against shochetim who aren't Sabbath observant. The same issue features a death notice for the aforementioned Isaac Leeser. A Messianic prophecy for 1840. Here is a most unusual Messianic prophecy in the name of Rabbi Shimon of Ostropoli, predicting 1840 as the year. 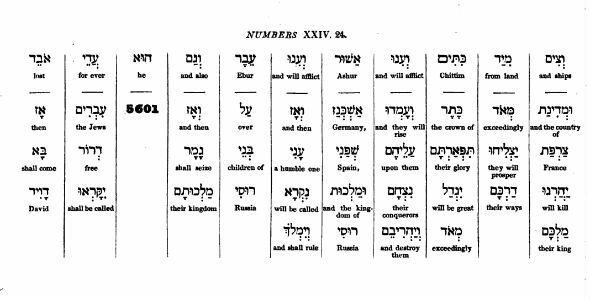 As you can see this prophecy, commenting on Numbers 24:24, apparently predicts the French Revolution, some might see Napoleon, and some other stuff, including a free Jewish kingdom in Russia, and finally the Messiah, in the year 1840-41. This was printed in 1829, when "the fulfilment, being fixed for A. M. 5601, occurs in eleven years from this time." The author errs when he writes that Rabbi Shimshon lived 300 years earlier (ca. 1529), as he was killed in 1648. 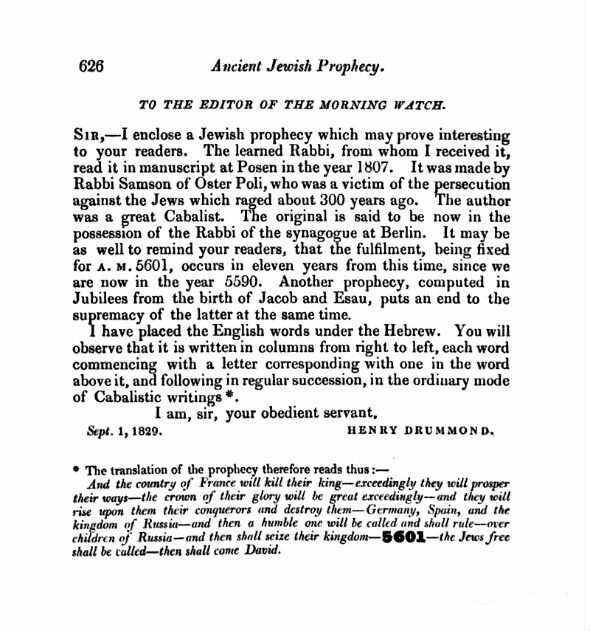 This was printed in The Morning watch: or, Quarterly journal on prophecy December 1829. For more on Jewish messianic expectations for the year 5601/ 1840-41 see Hastening Redemption by Arie Morgenstern. Searching online in Hebrew with imperfect OCR.